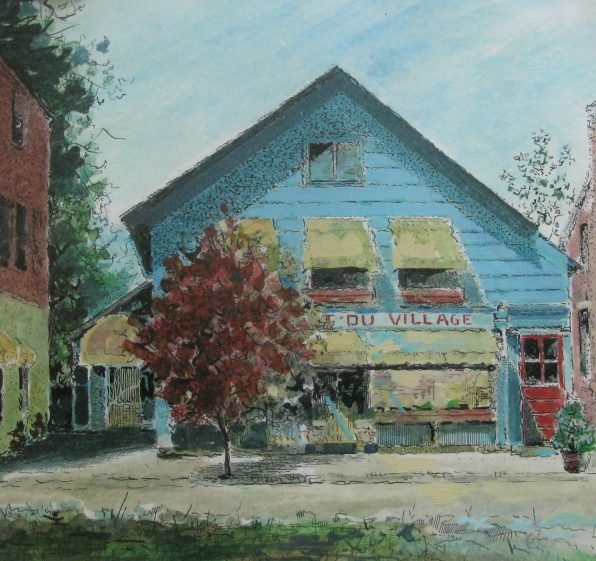 Once upon a time there was a tiny piece of France in Chester, Connecticut called Restaurant du Village. On November 28, 2018 at Gateway Community College in New Haven we will turn the clock back and remember some of the dishes we served at Restaurant du Village in the 1980’s. The three-course meal will be prepared by students in GWCC’s Culinary Arts Program with a little help from me. The proceeds benefit the Gateway Foundation, which awards scholarships to local community. As many of you may know, I teach a food writing class at Gateway every spring and am honored to be part of their program. And Gateway uses my textbooks On Cooking and On Baking. The simple fall bistro menu uses some of our favorite ingredients. French garlic sausage simmered +served with lentilles du Puy +French mustard. Each course is paired with appropriate wines. I’ll demo some of the dishes, share some stories of the restaurant, which Charlie van Over and I founded, and talk about our cooking philosophy. Time: 6 PM cocktails in the art gallery. Here is the link to purchase tickets. Looking forward to seeing old friends and making new ones while celebrating a special cause.